School Nurses in California Speak Out About the Shortage! School Nurses: It’s More Than Band-Aids; It’s a Child’s Life! Your children’s health care is of the utmost importance and it should not be subjected to the lack of professional school nurses. The issue of understaffed or overextended school nurses needs to be addressed and the message needs to be loud and clear to everyone listening. School nurses are a vital component of health care. Educated professionals are needed with children everyday to ensure their safety and well-being. The safety and health of our children are paramount and without the appropriate number of school nurses we put the lives of children at risk everyday. With the increasing number of children with allergies, asthma, diabetes, ADHD, and obesity it is vial that our nation’s schools are equipped with professional nursing staff. Our society remains a reactive society; however we must be proactive and focus on prevention. We cannot afford to put our nation’s children at risk. In one horrific example currently occurring throughout California, there is one school nurse attending to over 2000 children. Please tune in on Friday, September 14th from 5:30pm to 6:00pm EST. Barbara Ficarra, RN, BSN, MPA Host/Executive Producer of Health in 30™ and Editor-in-Chief of Healthin30.com will discuss this healthcare crisis with guest experts. Joining Barbara Ficarra will be: Dale Parent, President of the CA School Nurses Association, Donna Mazyck, President of the National Association of School Nurses, Amy Garcia, Executive Director of the National Association of School Nurses, and Nancy Spradling, Executive Director California School Nurses Organization. Donna Mazyck, RN, MS, NCSN, President of the National Association of School Nurses, has worked as a school nurse in two high schools in Maryland. In that role she assessed health needs of adolescents and infants/toddlers of teen parents. She also instructed students, parents, and staff about health needs and health promotion. Donna also facilitated female mentoring group; conducted teen smoking cessation group; and developed individualized health care plans for students with chronic health problems. Currently, she is a school health services specialist at the Maryland State Department of Education. She provides leadership and consultation on student and school health services topics for leaders of school health services programs, school nurses, families, school administrators, policy makers and organizations. She interprets and applies research, legislation, policy and standards regarding school health services to determine guidelines and identify best practices. As President of the National Association of School Nurses (NASN), Donna chairs the Board of Directors as they set the strategic direction for NASN. She believes school nurses transform school communities. The NASN programs, services, advocacy and research activities equip school nurses to support student success. Donna received a Bachelor of Science in Nursing from the University of Pennsylvania and a Master of Science in Counseling from Loyola College in Maryland. She is a nationally certified school nurse and a nationally certified counselor. She enjoys advancing the leadership of school nurses so that they can support student success. 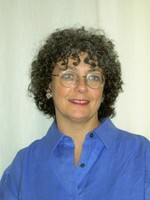 Donna serves as NASN President from July 2007 through June 2009. Amy Garcia, RN, MSN, Executive Director of the National Association of School Nurses, Amy Garcia, a Kansas native, earned her undergraduate degree in Nursing/Adult Education and Masters of Science from Wichita State University. Amy started her career in nursing with an emphasis on diabetes. For over 15 years, she was an active member of the American Diabetes Association, where she was awarded the ADA-KS Outstanding Service to Youth in 1988, and the ADA-KS Patient Educator of the Year in 1995. As the new Executive Director of the National Association of School Nurses (NASN), Garcia’s primary responsibilities are to carry out NASN’s strategic plans and to oversee the operations of the organization. Amy comes to the position from USD #259 – Wichita Public Schools where she served as the Risk Manager and Employee Benefits Supervisor, along with being the President of Self Insured Health and Disabilities Plans. In the past, Amy has owned her own business, has worked as a Senior Loss Control Specialist for Lockton Companies, as Safety Officer/Director Environment of Care for Via Christi Regional Medical Center, and as Education Coordinator for the Wichita Dialysis Center. Amy has put her knowledge to use by becoming a nationally known speaker on health care issues, and continues to fight for the health rights of every child! Dale Kerig Parent, RN, BSN, EdD(c), President of the California School Nurses Organization and Health Services Coordinator for the Chula Vista Elementary School District, has been a nurse for 35 years. In her current position, she supervises 31 nurses, 4 LVNs, a mobile medical unit and oversees the health services of over 27,000 students in the largest elementary district in California. Dale is also in charge of suspension, expulsion, child abuse reporting, foster youth, adolescent growth education, EPSDT counseling, and Home/Hospital Instruction, to name a few. In addition to her School Nurse credential, Dale has an Administrative credential, a masters in Educational Leadership and is working on her doctorate in Organizational Leadership, serves on the San Diego County Mental Health Board and serves as President of the California Association of Mental Health Boards/Commissions. 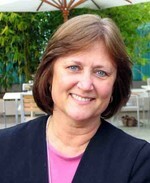 Nancy Spradling is the Executive Director of the California School Nurses Organization. As the Executive Director, she represents the Board of Directors and the membership of the California School Nurses Organization. Among her many duties, she is responsible for public policy development, acts as liaison with other professional organizations and agencies, and also assists with development, implementation and review of the legislative agenda of the organization, including tracking and testifying for legislation that is of interest or concern to the organization. Before coming to CSNO, she was the Vice President for Health, for the California State PTA from 1999 to 2001, where she represented PTA on a variety of statewide committees and councils. Nancy has 17 years of PTA experience, including 6 years on the state board, in a variety of areas, including leadership, children’s health issues, and advocacy, and in addition was very active at the local level in both her community and school districts. She has a Bachelor of Science degree from UC Davis, lives in Sacramento with her husband, and 4 cats. She has 2 grown sons, and 1 grandson. Click here to read Nancy’s article Is a Health Aide Taking Over for the Professional School Nurse in California: Who’s Caring for Your Kids?